Recently the FDA approved one of the newer exchange resins (Lokelma, ZS-9) for the treatment of hyperkalemia. (Veltassa, Patiromer), a calcium based cation exchange resin, was recently developed and approved since 2015 for the treatment of hyperkalemia. These two new drugs, which each have large randomized placebo controlled trials confirming their effectiveness, now seem bound to replace the ancient but much experienced Kayexalate (Sodium Polystyrene Sulfonate; SPS) for the management of hyperkalemia. However, they are not approved in Canada and their cost makes them less enticing options in a publicly funded health care system. Also, what about safety concerns? 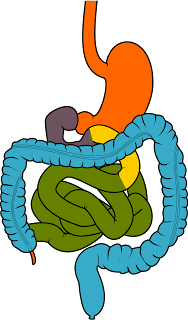 SPS has been used since the 1950s, however it took decades for case reports to come out possibly linking fatal colon necrosis to Kayexalate use. This association remains hotly debated. A systematic review in 2013 found a total of 58 cases of biopsy confirmed bowel injury that were “possibly” related to SPS use based on the WHO causality criteria. Interestingly, these cases were not limited to patients using SPS with sorbitol, nor to the post-operative population as was once thought to be the major risk factors for adverse GI events from SPS. On the other hand, a retrospective single-centre review over a 10 year period found only 3 cases of colon necrosis among 2,194 patients having received SPS. When they compared this incidence of colon necrosis to control patients having not received SPS, they found a non-significant RR of 2.10 (0.66-6.64; P=0.2). Many nephrologists will argue that SPS has a long standing proven track record and that colon necrosis is such a rare side effect that it is unlikely to be related. While no one knows if this is truly the case, the uncertainty surrounding this issue is one of the major reasons that led to the development of the newer exchange resins: ZS-9 and patiromer. Before praising and widely accepting these newer, expensive products, would it not be wise to use the same caution we would for SPS? It can take years for such a rare adverse event as colon necrosis to manifest itself, how do we know we won’t be facing this GI safety issue 5 to 10 years from now? Perhaps we could look for other ways of trying to enhance GI elimination of potassium. The colonic enterocyte has an ability to excrete potassium in stool. This may be an important physiologic property in patients with advanced CKD who lose the ability to renally excrete potassium. In fact, patients with ESKD are known to have a greater excretion of potassium in their stool compared to individuals with normal kidney function. An important transporter involved in this process is the BK-channel located on the apical side of the colonic enterocyte within the colon crypts (see Figure). This channel is responsible for actively secreting potassium in the GI lumen. Aldosterone stimulates this channel, enhancing K secretion in the stool, similar to its effect in the kidneys. In fact, a study in the 1970s of patients suffering from acute cholera showed that within 12 hours of receiving a single dose of 100mg of spironolactone, there was a significant decrease in stool loss of potassium and an increase in stool loss of sodium. This likely is a major reason explaining why anuric patients with ESKD may still have from hyperkalemia if given RAAS blockade. The BK channel will also be stimulated by various diarrheal states such as Ogilvie’s syndrome, villous adenoma and certain laxatives such as bisacodyl. Bisacodyl is a stimulant laxative which enhances peristalsis through parasympathetic nerve activation, but also stimulates cAMP production within the colon enterocyte. This cAMP is thought to enhance K excretion via the BK-channel. A study performed in 2005 used immunohistologic analysis of colonic enterocytes in patients with ESKD and showed that BK-channels are upregulated in these patients compared to controls with normal kidney function. The upregulation of BK-channels probably represent an adaptation to chronic potassium load in order to maintain homeostasis. Interestingly, a small study in 2003 tested the effect of Bisacodyl on potassium in patients with ESKD. Eight controls normal kidney function and 13 patients with ESKD were given Bisacodyl 5-10mg PO titrated to achieve 2 soft bowel movements per day and these were compared to 5 ESKD patients given lactulose 10ml PO titrated also to 2 soft bowel movements per day. After 2 weeks of treatment, they found that the ESKD patients with Bisacodyl had a significant decrease in potassium from 5.9 to 5.4mmol/L whereas the controls given Bisacodyl and the ESKD patients given lactulose had no change in potassium values after 2 weeks of therapy. This suggests that Bisacodyl increases potassium excretion in the stool in patients with ESKD through a mechanism not simply related to its laxative effect, but likely through stimulation of the BK-channel of the colonic enterocyte. It is unfortunate that no further studies have looked into this therapeutic option for maintaining potassium homeostasis in patients with advanced CKD. 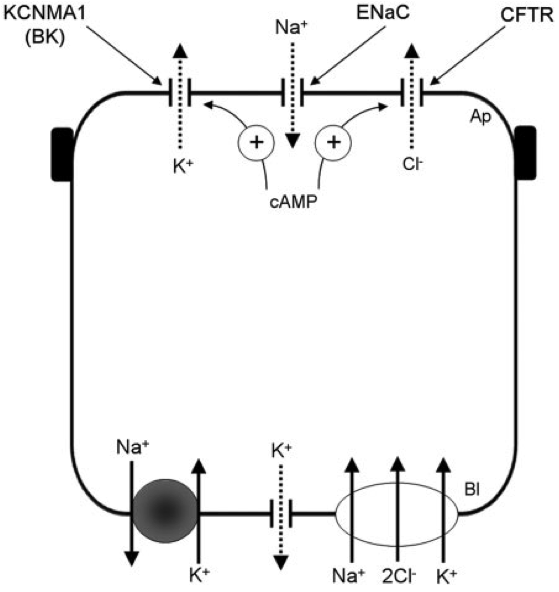 Unfortunately, we don’t know if Bisacodyl would work as well in the non-dialysis population since we could expect these patients may not have as upregulated BK channels as in ESKD who are faced with more chronically elevated potassium loads. However, this would be an interesting study to pursue since Bisacodyl would be a cheap and safe way of controlling potassium in patients with advanced CKD by enhancing the body’s natural adaptation to potassium handling. As part of an effort to organize some materials relevant to career development for budding physician-scientists in my division, I wrote the following letter and deposited it on a shared drive. Since it might be helpful to other renal fellows thinking about starting a research career, I wanted to also leave it here on RFN. I hope someone finds it helpful! If you are reading this letter, congratulations! You either have chosen or are seriously considering a challenging but rewarding career path as a Physician-Scientist in one of the most complex fields in medicine. Your efforts will contribute much needed work in improving the lives and longevity of patients with kidney disease. 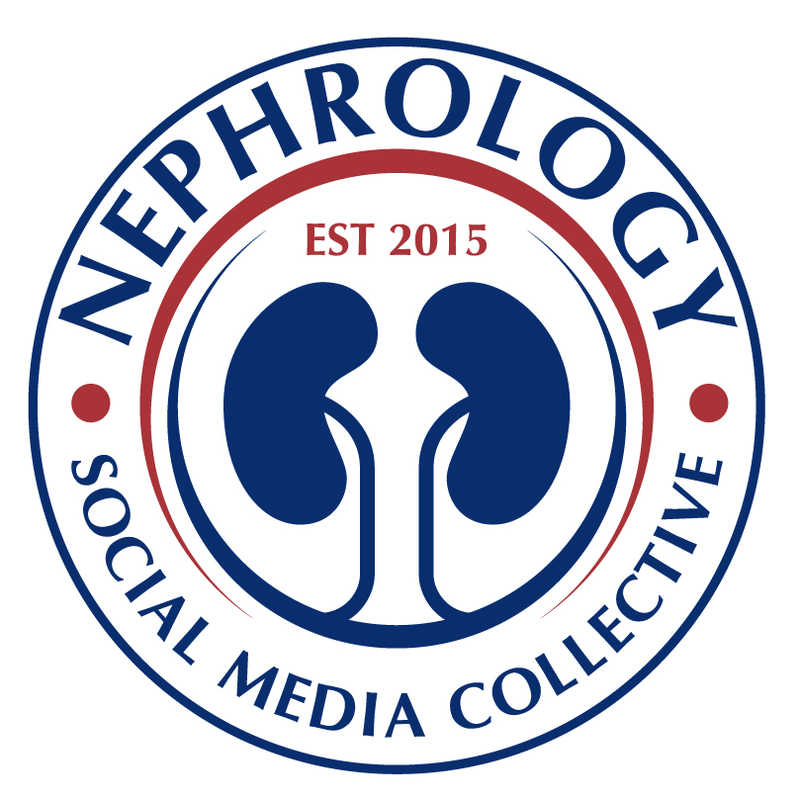 You are a rare bird: during a time when the American nephrology work force hasn't been at its peak, you have proven yourself to be an excellent clinician and are poised to ask the most pressing and relevant scientific questions that will actually make a difference in clinic. The purpose of this letter is to arm you with as much information as possible for you to land your academic dream job. 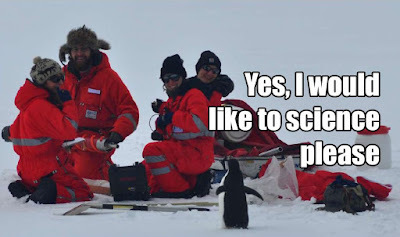 In a perfect world, we wouldn’t have to worry about grants and papers – we could just do the science we love. And yes, you should absolutely work on the questions that keep you up at night. But to make that dream goal a reality, there are a few milestones to hit, which will be addressed here. During the fellowship / instructor years, you will need to work towards obtaining a career development award (CDA) - this is your golden ticket to getting a job as an independent PI. Someone high up the political ranks at a prestigious institution once told me that really the CDA, especially a non-institutional NIH K, is a "hunting license" to go land a job. It's a nod from the NIH that yes you can successfully obtain extramural funding and is a good stepping stone towards developing your own research program and obtaining future R-level funding. But let's get back to where you are right now, as a fellow. The Science. Your first task at hand is to pick a feasible primary project that truly fascinates you. Don't pick one that you think will just lead to a convenient paper; if you're not interested in what you're studying, your motivation levels will be down, and on top of that you won't sell the strongest pitch to grant and paper reviewers. Your curiosity about your project will be a strong motivating factor to keep pushing it along. Do pick one that will lead to 2-3 solid first-author papers over the course of your training period. Be sure to have one primary project and at least one smaller low-risk side project, in case the primary project does not quite work out. With a good research mentor, this task shouldn't be too difficult; if there are problems with the project and you feel at odds with your mentor, you should seek advice from your other mentors, which brings me to my next point. Persistence. The path you have chosen is certainly not the one of least resistance. Some people get lucky, but you can succeed even if you don't come across a scientific windfall. To succeed, you must persist. You must never give up. You will have good days, and you will have bad days, but through the bad days your resilience and drive will keep you moving forward. And yes, you will see on social media that your med school and residency classmates are enjoying expensive cars and vacations while you are still on a fellow / instructor salary, but you just have to refocus on the task at hand, even if it's a bad day. One of my friends and colleagues said to me, "You know, we are in this either because we love it so much that we won't give up, or because we are so bull-headed and stubborn that we keep hanging on because we don't want to admit ourselves that we made a crazy choice, or both." Some things might be out of your control, but how you respond to the unexpected in terms of bouncing back with resolve and determination will allow you to get the final outcome you want. Planning. Being organized and hitting the milestones outlined by your division and mentors will be key to making sure you are moving towards your goals in a timely manner. Plan out your projects, grants you may be expected to obtain, manuscripts to write – having a concrete timeline for these things will keep you on track career-development-wise so that you can continue to do the science you love. Productivity. You can have all the most brilliant ideas in the world, but no papers means no street cred for funding. For the F32, you don't necessarily HAVE to have a first author paper to be funded, but it would certainly help as those awards also go to competing PhD candidates. For the K, you will definitely need more than one first author original research manuscript to be competitive, so this is a factor that needs to be planned - the papers can be small, so get what you can into print. Don't hold on to everything for the one Nature paper you're hoping to put out; publish and present as often as you can in the beginning because the feedback is part of your training too and because no one expects you to have a Nature paper as an MD fellow. Review papers don't count as much, but they are good to have in your Biosketch and can provide the background / significance of your grants. Creating an Emerging National Profile. Part of the benefit of presenting at meetings is to get your name out there. It is also good to network when you can - sometimes good ideas and collaborations spring up from these interactions. Also, it is good to have that national profile building for the job search and to have it as a foundation for the more distant future when you are being considered for promotion. Yes, Twitter can help a little, but you want your reputation to be built on concrete achievements such as data presentation at meetings or engaging in concrete roles in national societies. Taking Ownership. So physicians who haven't taken time off from school to go work in a non-academic job have a special phenotype of living an extended adolescence during training. This is good and bad, but now that you are emerging from the training phase of your life, it is important to understand that the next phase of your career development will require you to take control and ownership of how you want to shape your career. I sound like I am stating the obvious, but having such structured GME curricula and sometimes micromanagement during clinical service can leave you in the habit of passively going through the motions of completing requirements. Outside the GME umbrella, you are in control of your own destiny and chasing opportunities. I quite like that aspect of graduating from GME and actually found it empowering. *** When all of these elements are cooking together, you will get what you need in terms of funding to start your career. 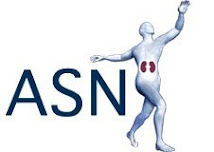 It is an exciting time to join the Physician-Scientist workforce in nephrology - there is much work to be done, and your success will benefit the lives of your patients. You've got this! Hydroxocobalamin is an antidote that was recently approved by the FDA in 2006 for the treatment of cyanide poisoning. 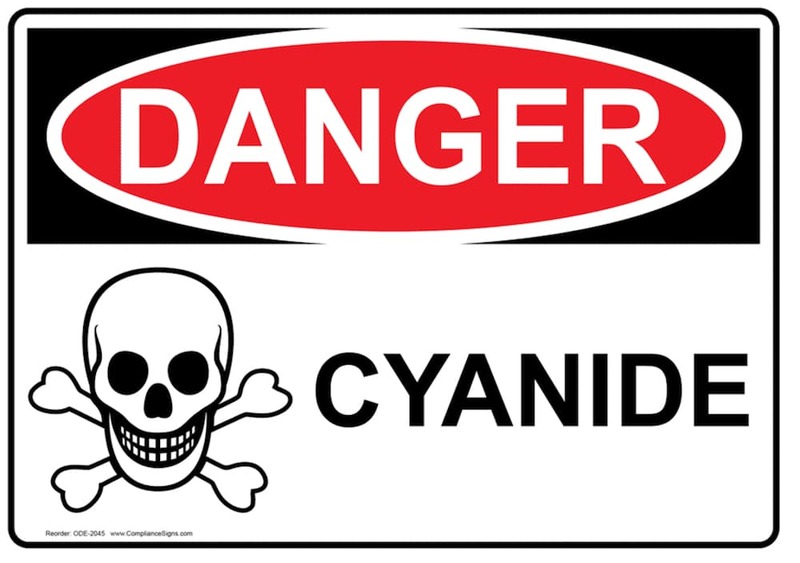 For decades, cyanide poisoning has historically been treated using the cyanide antidote kit that contained a concoction of amyl nitrite, sodium nitrite and sodium thiosulfate. The problem with this antidote kit is that it can lead to hypotension and reduced oxygen-carrying capacity. In contrast, hydroxocobalamin does not cause these complications and therefore has become more widely used for suspected cyanide intoxication. We encountered a case of a young man who was found unresponsive and profoundly hypotensive. On arrival to the emergency room, he was in extremis with significant agonal breathing. His GCS was 3, he was hypothermic and hypotensive. He had AKI (creatinine 1.3mg/dl) and a severe anion gap metabolic acidosis (lactate >20). A bedside echocardiogram showed severely diminished cardiac function. Blood and urine toxicology screen were negative. 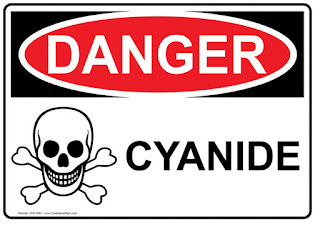 Cyanide poisoning was suspected and as a result, he was given iv hydroxocobalamin. Over the next few hours, he had an increasing pressor requirement and the decision was made to start dialysis to treat his acidosis and potentially remove any ingested toxins. Hemodialysis was initiated emergently using a Fresenius 2008K machine, however this was confounded by a recurrent “blood leak alarm” that repeatedly shut down the machine despite there being no evidence of a leak occurring. 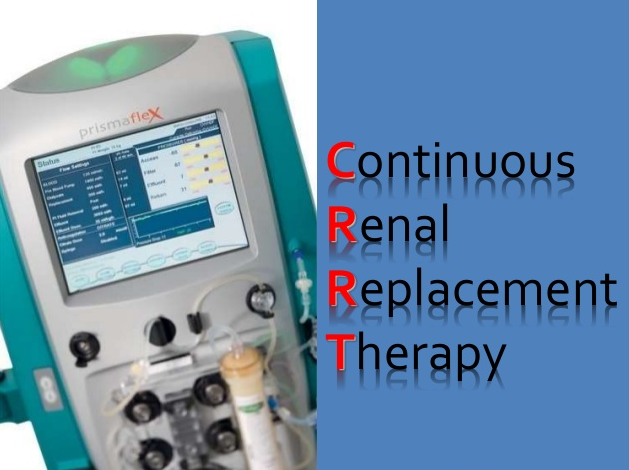 After multiple trials to initiate hemodialysis with replacement of the dialyzer and the machine, this was aborted with plans to initiate CVVH. Hydroxocobalamin causes an orange/red discoloration of bodily fluids and can permeate dialysate. This can lead to dialysis failure due to defraction of light from discolored dialysate, resulting in triggering of the blood leak sensor in certain hemodialysis machines. The case highlights the need for an awareness of hydroxocobalamin effects in hemodialysis and its potential to delay initiation of emergent dialysis in critically-ill patients. More information on the case can be found here. Donor specific Antibodies (DSA) are one of the established biomarkers for predicting antibody mediated rejection (ABMR). This blog is a short synopsis on DSA and their complex characteristics in kidney transplantation. DSA may be preformed (before transplantation) or de-novo (developing after transplantation). Preformed DSA can lead to hyperacute/early ABMR and graft loss. De-novo DSA can lead to late ABMR and poor graft prognosis. But DSA need not always be pathogenic- often they may act in a ‘benign’ fashion, with stable graft function. The main sensitizing events include organ transplant itself pregnancies and blood transfusions. It is important for the clinician to take the history of shared children with a partner who is a potential live donor. Sensitization is generally represented as the % panel reactive antibody (PRA), the proportion of a representative population that the recipient has anti-HLA antibodies to. This also estimates the likelihood of a positive cross match to potential donors. We have come a long way from the less sensitive complement based cytotoxic assays and ELISA to the newer and more sensitive multiplexed particle based flow cytometry (e.g. Luminex, see image). The newest kid on the block of sensitive testing for DSA is next generation sequencing (NGS). 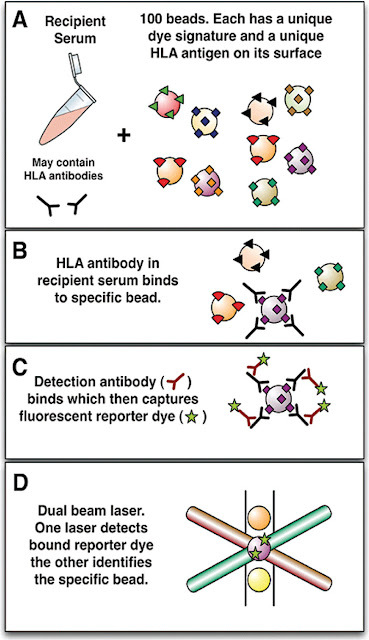 Single bead antigens assessed on a Luminex platform can identify the precise antibody present. This information is used in identifying preformed antibodies against a potential donor on a virtual cross match (so called because single antigen beads are added to recipient serum, without donor cells being involved). When ABMR is suspected, the presence of de-novo DSA or rising titers of pre-existing DSA contributes to the diagnosis. High HLA mismatches (especially DQ). Graft inflammation which leads to increased immunogenicity (viral infections like CMV, cellular rejection episodes or ischemic injury). DSA cause graft injury via complement activation, antibody dependent cellular cytotoxicity, and direct injury of the endothelium via VEGF, fibroblast growth factor upregulation and ligand binding. These latter two non complement mediated mechanisms may explain the c4d negative ABMR. 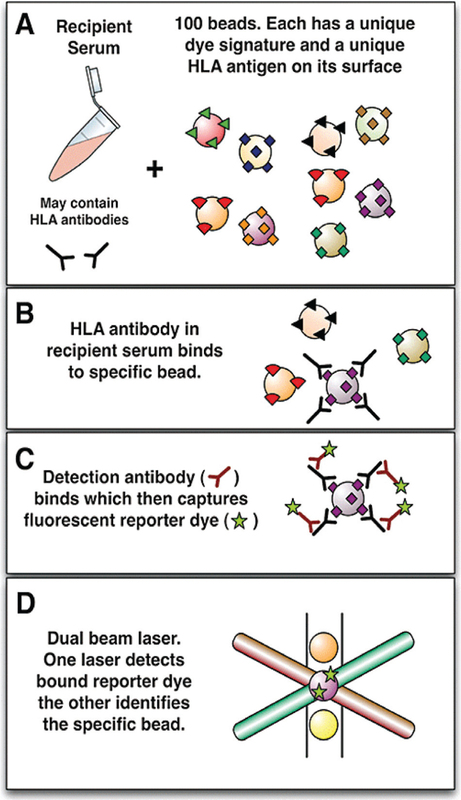 DSA target specific epitopes in the polymorphic regions of the HLA antigens (see NephMadness for more on epitopes/eplets). HLA Class I: A,B,C antigens; present on all nucleated cells, one alpha chain and a beta2-microglobulin; epitopes located on the polymorphic alpha chain. HLA Class II: DR, DQ, DP; present on all antigen-presenting cells, one alpha & 1 beta chain; both chains are polymorphic. Class I antibodies are usually of IgG1 or IgG3 subclass so are usually complement binding. They are unusally associated with acute ABMR and graft loss. Class II antibodies are usually IgG2/4 subclass and are usually detected late and are not complement binding. Usually quite persistent and associated with chronic injury. What are complement binding DSA? Usually expressed as the Mean Fluorescence Intensity (MFI) on the solid phase (single bead) assay. There is no standardisation currently and each transplant center develops their own cut-offs. Important points to consider regarding DSA strength (see NephMadness for more): (i) Prozone effect: False negative or low titers may occur despite high levels of antibody in the presence of inhibitors (serial dilutions help mitigate prozone effect). (ii) DSA against shared epitopes may be diluted across the beads giving lower individual MFI. C4d is the degradation product of the classic complement pathway. It binds covalently to the endothelial basement membrane. Positive C4d staining in peritubular capillaries serves as an immunological foot print of ABMR – seen as a linear pattern best seen in frozen tissue section. It is important to note that not all ABMR will be C4d positive and that isolated C4d positivity may not portend a bad prognosis (graft accommodation in ABO incompatible transplantation is a well known example). 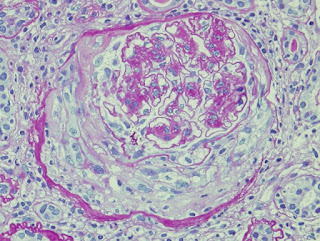 Diabetic nephropathy (DN) is well recognized by the glomerular basement thickening (GBM), mesangial matrix expansion and formation of nodules in the mesangium - the classic Kimmelsteil Wilson lesions. The very sight of these lesions makes a pathologist confirm the diagnosis of DN. However it`s not always as straightforward as it seems and these typical lesions do not always dominate the microscopic picture. Crescents always makes us wonder about the presence of underlying immune-mediated disorders. We investigate the patient extensively with antibody profiling, complement work up and other battery of tests. Sometimes a crescent may appear unexpectedly in the biopsy of a diabetic patient. A diabetic patient can have ANCA vasculitis after all. If the clinical picture is suggestive of immune disorder, the work up for these diseases will help in arriving at the diagnosis. Immunofluorescence and electron microscopy are also crucial in this regard. But what if it is a crescent of non-immune etiology? Also described as superimposed lesions of collapsing glomerulopathy (CG) on DN, it is characterized by proliferation of parietal epithelial cells (PECs). These 'crescents' do not show inflammatory cells and GBM has continuity, without any breaks and there is no fibrin in the Bowman space. CG lesions in DN are associated with an increased rate of progression of disease with earlier onset of ESRD. PEC markers like Claudin-1 show strong positivity in Bowman space in these lesions. In fact the cells in Bowman`s space in these crescents show double positivity with Claudin-1 and Nephrin (a visceral epithelial cell marker) in one study. This indicates de-differentiation of PECs into podocytes, forming cross bridges across the urinary space with the PECs trying to replace the latter as podocytopenia is a prominent feature in DN. There are no definite treatment recommendations for these lesions in DN. Based on few case reports available, aggressive control of diabetes, hypertension and use of ACEI/ARB`s might help to some extent. But the overall prognosis is grim. This highlights the need for careful assessment of such patients. Diabetic patients may have true crescentic , but not all 'crescents' in diabetes are crescentic glomerulonephritis! 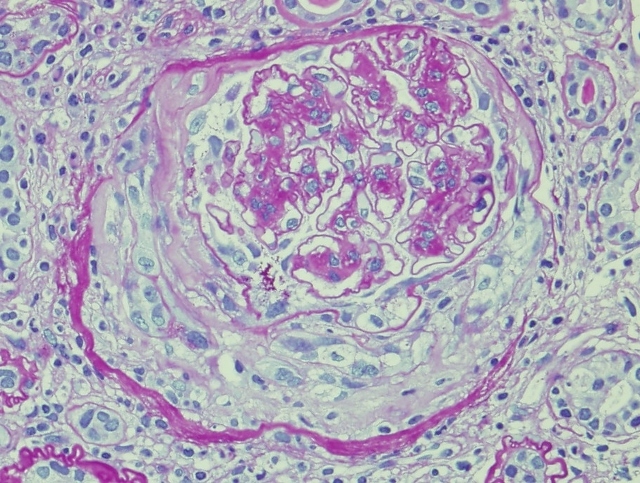 A glomerular nodule, i.e. an acellular hyaline structure, can have varied etiologies. Most commonly we see it in the setting of diabetic nephropathy (DN). In these cases, it posesses all the associated features of DN on light microscopy (LM) with glomerular basement membrane (GBM) thickening, mesangial matrix expansion and arteriolar hyalinosis. These nodules stain well with PAS & silver stains. 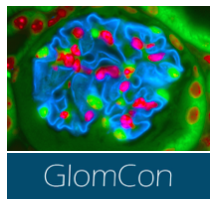 Immunofluorescence (IF) shows linear IgG deposits along the GBM & tubular basement membrane (TBM) and occasional IgM & C3 trapped in the sclerotic areas. Electron microscopy (EM) shows similar features. A differential diagnosis is amyloidosis, associated with enlarged glomeruli but poor staining with PAS and silver stain. The striking feature of this condition is red appearance of nodules on Congo staining with characteristic apple green birefringence under the fluorescent microscopy. In the most common form of amyloidosis, the AL type, IF shows light chain restriction with lambda > kappa predominating. EM has the characteristic amyloid fibrils, 7-12 nm in diameter with indefinite length and random orientation. Among immune mediated glomerulonephritis (GN), MPGN also presents with nodules on biopsy. LM is highlighted by a proliferative morphology with splitting and duplication of the GBM. Cryoglobulinemic GN is associated with pseudo-thrombi in capillaries, which in fact represent large sub-endothelial deposits. IF shows IgG and C3 deposits in GBM. Cryoglobulinemia is associated with IgM and predominance of kappa deposits (Type 1). EM reveals electron dense deposits in sub endothelial, mesangial and sometimes in sub-epithelial locations. Monoclonal immunoglobulin deposition disease (MIDD) can shows nodules. They stain with PAS and silver stains (see image) and have refractile, PAS-positive deposits in the TBM too. IF is characterized by linear deposits along GBM & TBM with kappa>lambda deposits in LCDD (light chain variant) and IgG in HCDD (heavy chain). EM shows powdery deposits in inner GBM, outer TBM and in the nodules. Fibrillary and Immunotactoid GN have diffuse a proliferative GN/MPGN pattern, sometimes with crescents. They stain with PAS & silver as well, a feature they share with DN. IF is positive for polyclonal IgG and C3 in Fibrillary GN. The immunotactoid variant has monoclonal IgG with kappa/lambda chains. EM shows large, randomly arranged fibrils (16-20 nm in diameter) in the former, and parallel arrayed microtubules (20-50 nm diameter) in the latter. Fibronectin glomerulopathy is characterized by nodules positive with PAS and negative with silver. EM shows sub-endothelial electron dense deposits. Immunohistochemistry staining for fibronectin is diagnostic. The last differential is Idiopathic Nodular Glomerulosclerosis. This entity resembles DN in all aspects except that patient is non diabetic. It is associated with long standing hypertension and smoking. Smoke contains glycation adducts which form AGEs and through oxidative stress is thought to create pathology similar to diabetes. Thus, a nodule in the glomerulus has a wide differential with definite need for various stains, IF and EM to establish the final diagnosis. The other key feature here is most of the above mentioned diseases can have a similar clinical presentation in the same age group. Seating is limited to 80. 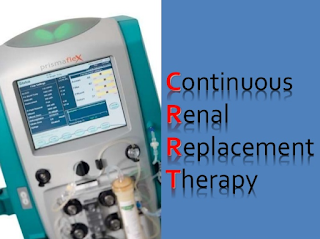 In addition to CRRT didactics, the course includes hands-on workshops and interactive cases, as well as a session on CRRT quality metrics and optimization of acute intermittent dialysis in the ICU. A new pre and post-test will be given. Ten $700 travel grants are available for fellows in training on a first-come first serve basis and requires a letter from the program director. One letter per institution. Download form here. Instruction Form for travel grant and registration are here. Grants are limited in number. Awards will be paid on the 2nd day of the conference. I have attached travel grant information, and registration. Some small changes may be made prior to final program. All travel grant recipients must register.